Charlottesville Mayor Mike Signer is joining other mayors across the country in asking local residents to make a commitment to conserve water and protect this essential resource by taking part in the 5th Annual Wyland Mayor’s Challenge for Water Conservation from April 1st – 30th. Charlottesville residents are encourage to participate by making water conservation pledges online – and in return residents will be eligible to win hundreds of eco-friendly prizes including this year’s grand prize, a new 2016 Toyota Prius. The Wyland Mayor’s Challenge for Water Conservation is a non-profit national community service campaign that engages leaders to inspire their communities to make a series of informative water and energy saving life-style changes. This year, the challenge is additionally important as we continue to compete for the Georgetown University Energy Prize. Mayor Signer encourages Charlottesville residents to conserve water, save energy, and reduce pollution on behalf of the City of Charlottesville by making their pledge at www.mywaterpledge.com throughout the month of April. “Even simple changes like turning the water off when you brush your teeth, taking shorter showers, installing WaterSense labeled, water efficient fixtures, and fixing water leaks can save residents water but also money off their water bill as well,” said Jill Greiner, Charlottesville’s Water Conservation Program Coordinator. Last year, mayors from 36 states participated and collectively encouraged their communities to make over 390,000 pledged to conserve water and reduce the use of more than 1.5 billion gallons of freshwater. 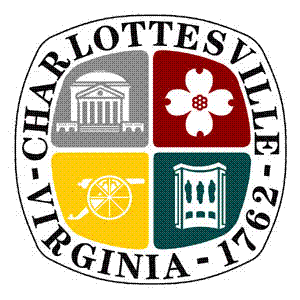 Charlottesville placed tenth in its population category (30,000 – 99,999 residents). This year, the City of Charlottesville is challenging its residents to improve its ranking and maintain their commitment to water conservation. To participate, residents are encouraged to go to mywaterpledge.com, and then make a series of online pledges to conserve water on behalf of the City of Charlottesville. Cities with the highest percentage of residents who take the challenge in their population category are entered into drawings for hundreds of eco-friendly prizes, including home improvement gift cards and a Grand Prize Toyota Prius. The challenge also features additional resources for residents to take their commitment of conservation even further, from regional water and energy resource issues to cost-saving tips at home. For more information on water conservation and the Charlottesville’s participation in the Mayor’s Challenge, go to the City of Charlottesville’s Water Conservation website: www.charlottesville.org/waterconservation.